Happy Monday, friends! I hope you had a good weekend. Thanks for your comments on my cartography skirt. I knew you'd understand my frustration. Interestingly, you were pretty evenly split on my using the skirt as motivation to achieve my fitness goals or re-making the skirt into a version I can wear now. Hmmm, swapping for a waistband that fits never crossed my mind, but I can definitely appreciate the reasoning. But no, I need to work at my fitness goals the rest of this year and see where that gets me. If I still can't wear it next spring, that'll be different. On the weekends, the longarm is empty of customer quilts, so that's when I typically quilt my own work. 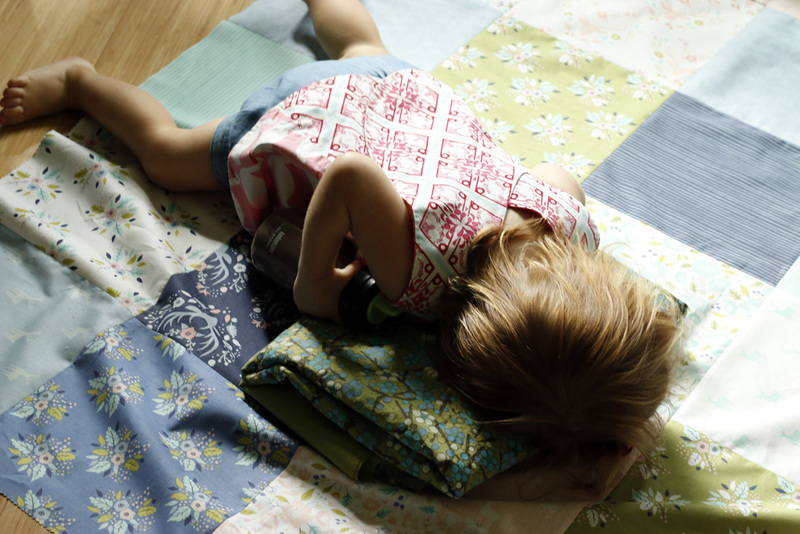 Yesterday I was running a time-consuming all-over quilt pattern on my Ikat quilt. It's turned out so well! I'm looking forward to showing you the finished quilt later this week. This particular quilting pattern eats a lot of thread and also caused a lot of thread breakage, until I switched to a larger needle. With all that hand-holding, I wasn't able to venture far from my sewing room. (I know, poor me.) Anyhoo, I began puttering around wondering about my next project. I have plenty of ideas for next projects, of course. Don't we all? The trick is finding the one that will be most rewarding. I have a meaningful quilt in the queue and three quilts for my children's beds. But, after the skirt fiasco and the Ikat quilt pattern rewrite, I found myself craving simplicity. Sorting through my shelves, I ran into a layer cake (that's forty-two 10.5" squares) that I won at a quilting convention. I didn't think much of it and kept on moving. Then I pulled out a large piece of floral yardage. Well, really, it's a tablecloth. I think it's the first fabric I bought "for love" and that was before I was even sewing. I bought two tablecloths from the clearance table just because they sang to me. 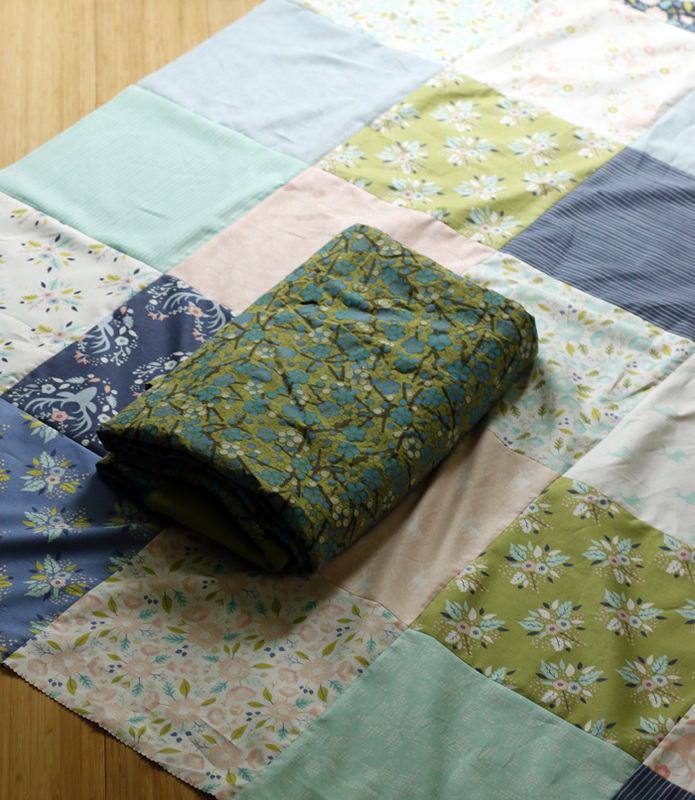 One I used in part to recover dining chairs and the rest to become the backing for my first picnic blanket. This second one has been waiting long enough. And then it struck me - the tablecloth/yardage matches the layer cake! Serendipity! 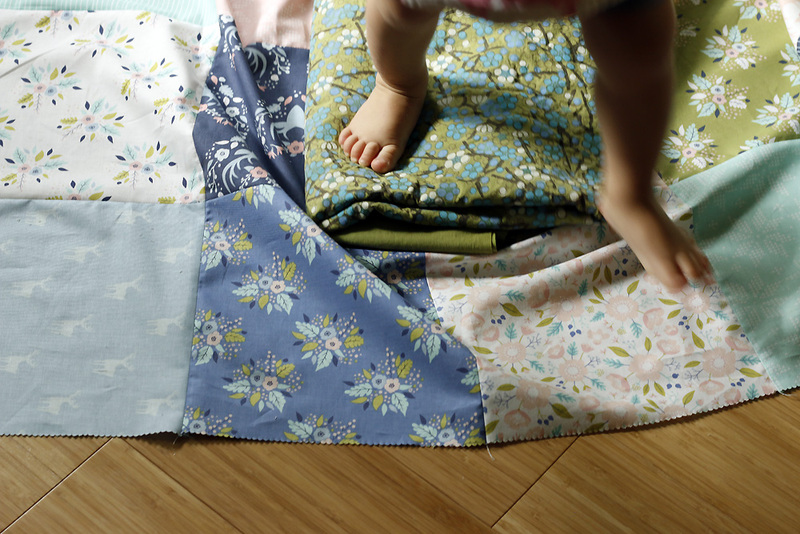 This is a picnic quilt in the making. Not sure if I'll finish it now or later. But, jumping in sure felt good! Wishing you some feel-good sewing!